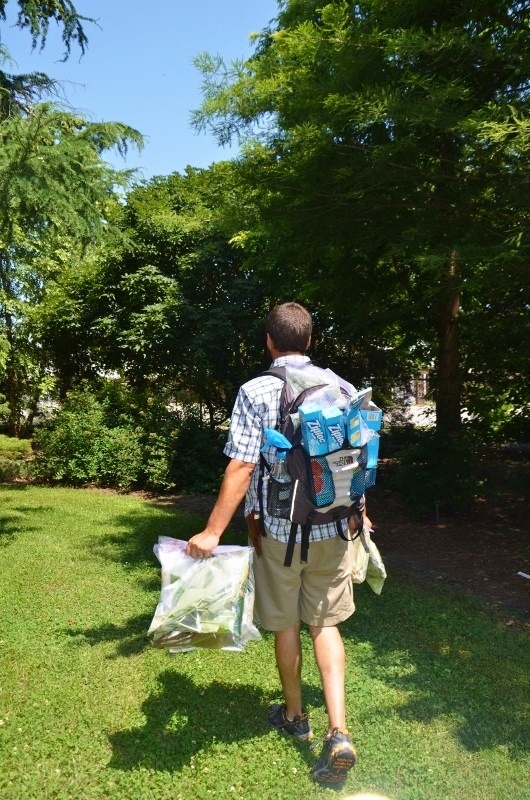 One of my favorite aspects about botanical gardens and arboreta is the genuine sense of community and togetherness. We visit one another, we share plants and of we’re all passionate about gardening and horticulture. 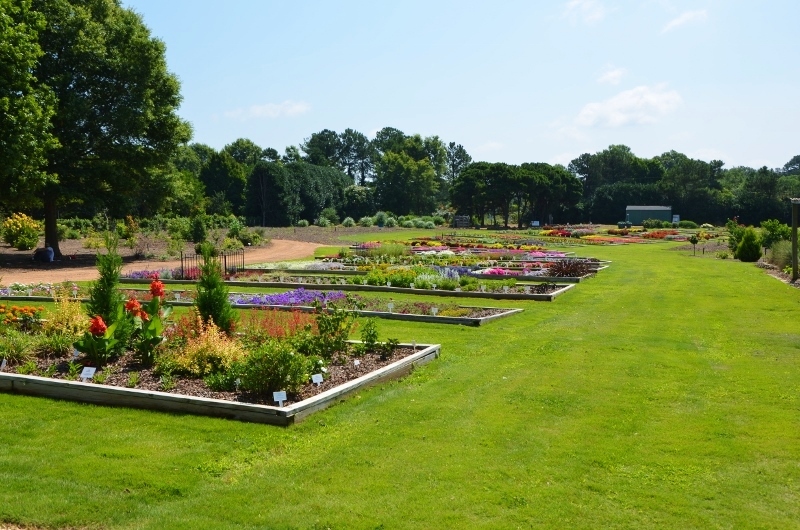 All of this was on full display and more during a recent trip three hours north to the JC Raulston Arboretum in Raleigh, North Carolina. Mark Weathington, Assistant Director and Curator of Collections at the JCRA. 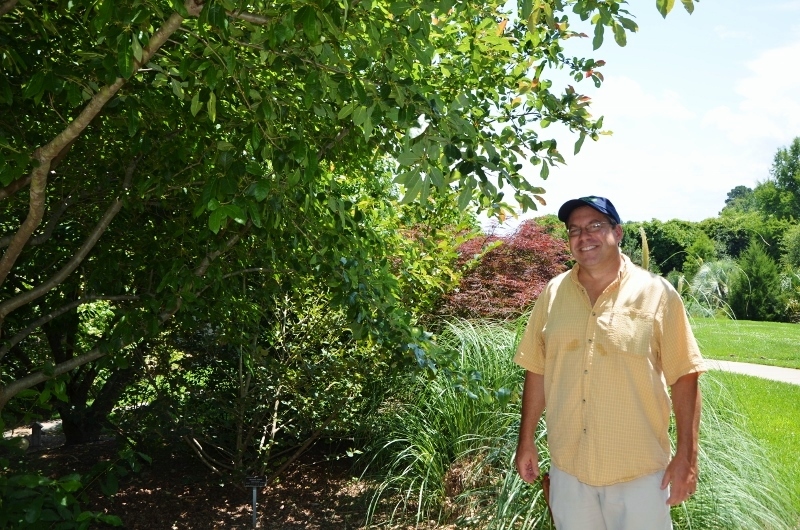 Mark is not only an amazing plantsman, but he’s also an all around good guy. 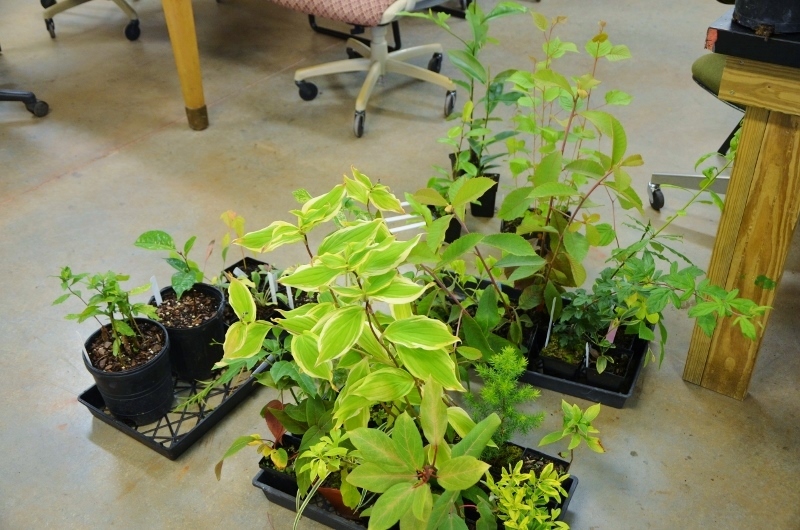 His time and generosity in donating plant material were very much appreciated. The arboretum has a plant driven aesthetic that I love. 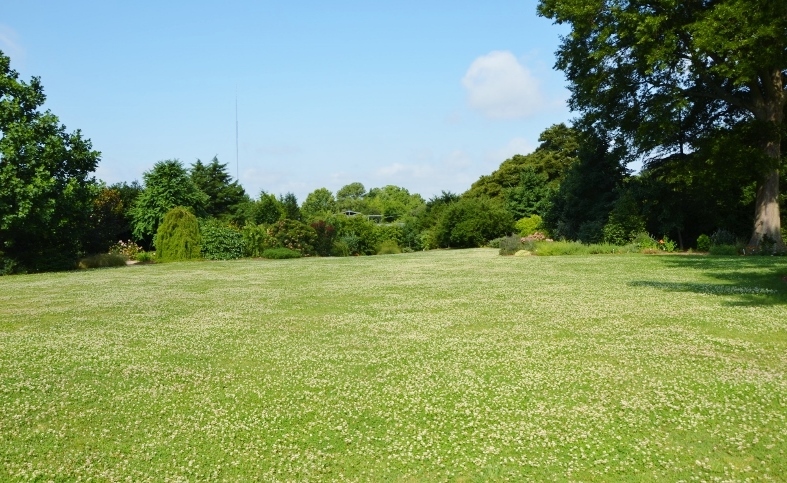 So often we think lawns need to look like a putting green, but check out this white clover, it’s just breathtaking. 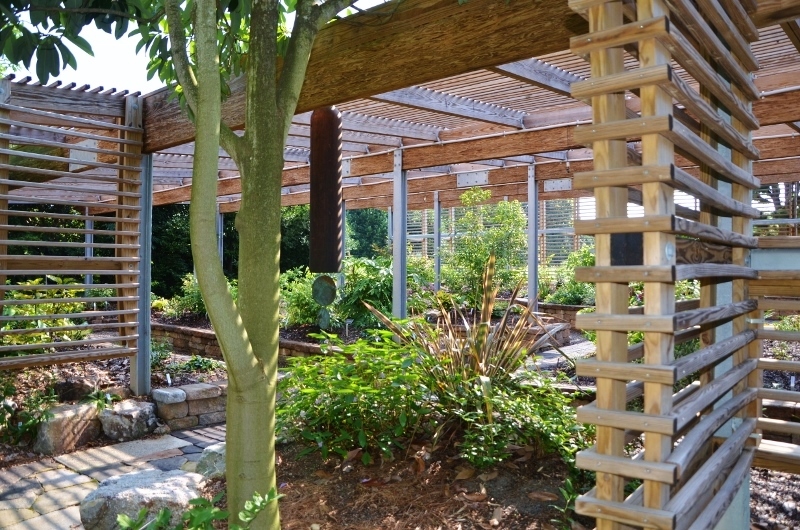 Elegant and beautiful, the lath house was definitely a highlight. 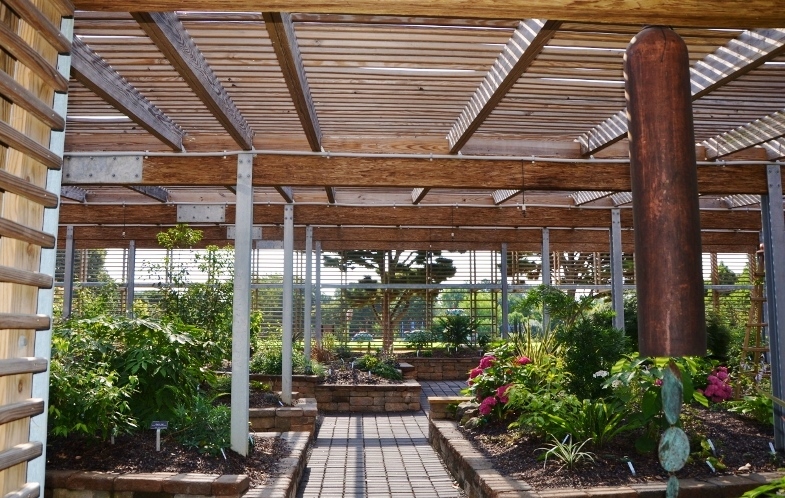 Sheltered beneath this simple lattice of wood and steel were some incredibly choice gems; we were able to obtain cuttings from several of our favorites. There was magic too, as the sun fell through the roof and onto the ground in a cryptic display of shadow and light, a solar bar code cast across plants and pathways alike. The pathways lead to several different rooms packed with rare and unusual specimens, many of which hailed from warmer zones. 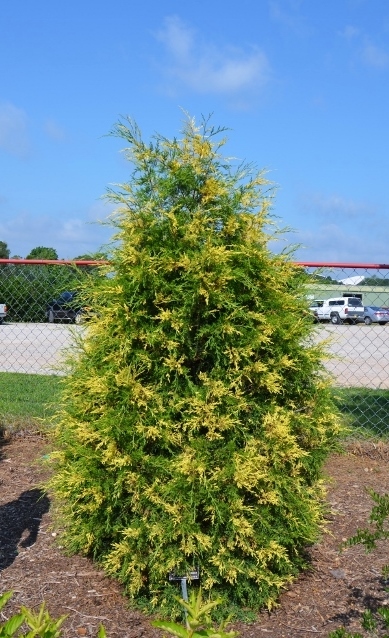 A variegated Easter Cedar, Juniperus virginiana ‘Regal’. I have a strong admiration for this workman-like species, but add in some creamy flecks and it turns to unabashed love! This ornamental variety should be a staple in Southeastern landscapes. A glorious example of a dwarf dogwood, Cornus florida ‘Suwanee Squat’. Even out of flower it’s cute as a button. Some plants I just wish I had found, and this is one of them. The specimen we received a couple of years ago from Mark is thriving here at MFBG. Cool blues and textural contrast provide drama. 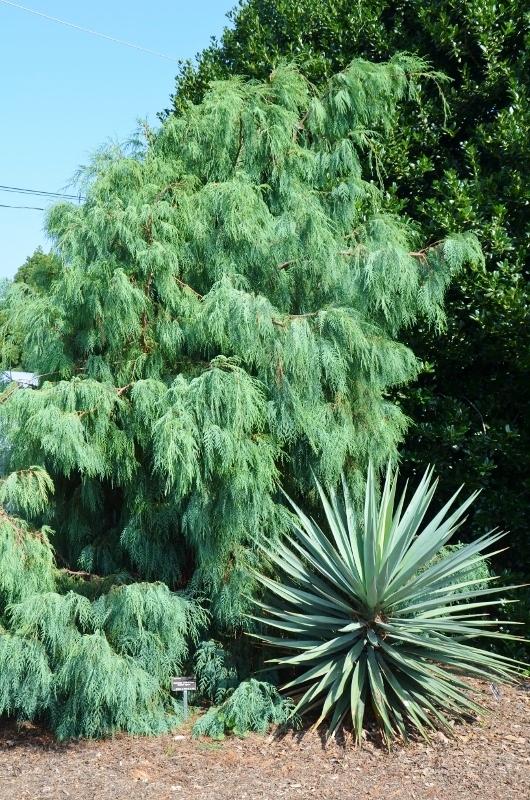 Pictured are Cupressus cashmeriana and a Yucca species. 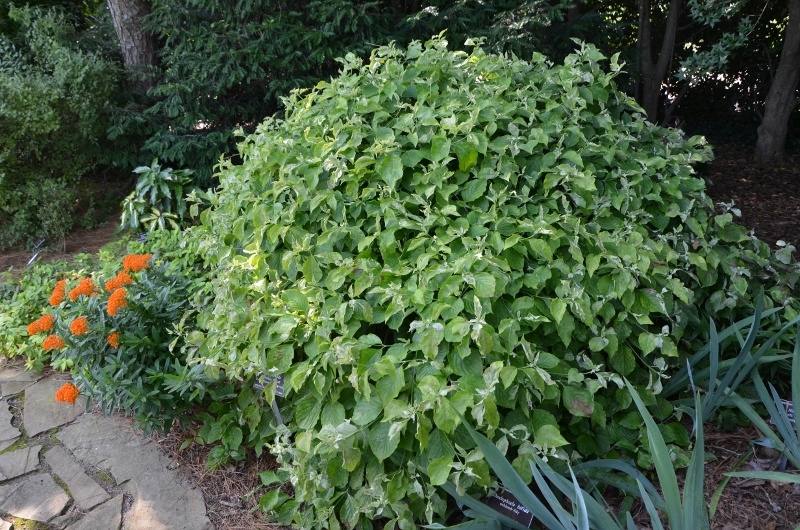 But the scene stealer was this lovely lady, a sultry new snowbell named Styrax ‘Evening Light’. Just one smallish cutting collected from this one. They were preparing for their All-America Selections trials field day. Beautiful! Look closely in the lower right corner. Now grab a paper towel and wipe the drool off your face. Finally, a variegated tea olive, Osmanthus fragrans! 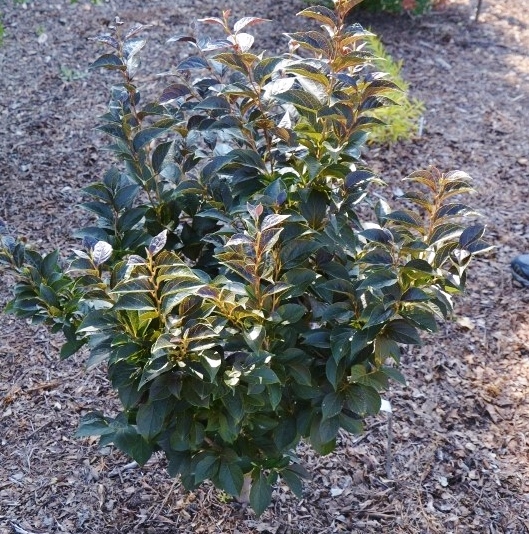 Right now they are only rooted cuttings, but look for this special shrub in the future. 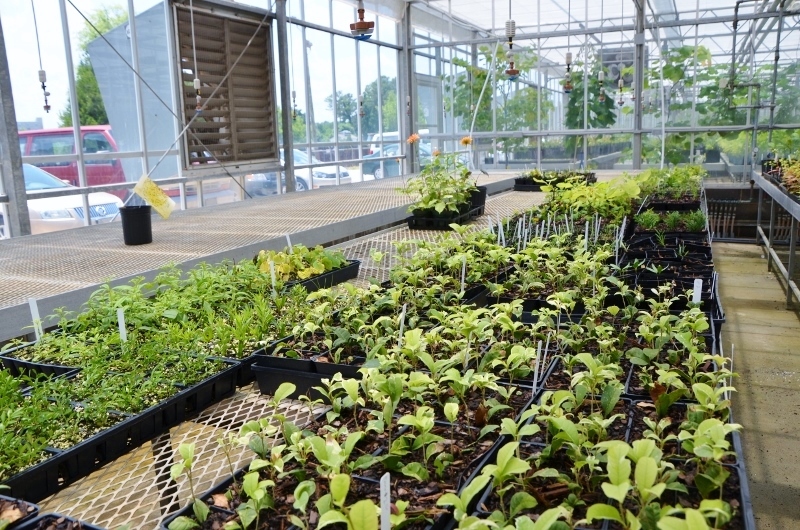 During our tour of the greenhouses, Mark pulled a variety of unusual plants for us to try at Moore Farms. At the end of the day, we walked away with many cuttings and new plants, but more importantly, we made some new friends. Good gardens make good neighbors.